Mar Salgado Apartment Mar Salgado Apartment is a one-bedroom apartment set within a private condominium with swimming pool and private garage, in Armação de Pêra. Guests can enjoy their meals in the furnished balcony. This elevator-accessible apartment is located a 10-minute drive from the Zoomarine Theme Park and 6 km from Aqualand Park..
Pera Flat Pera Flat is a 3-bedroom apartment located 5 minutes’ walking from Armação de Pera Beach. The combined dining/living room includes sofas, a flat-screen satellite TV, an iPod docking station, and a Blu-ray player. 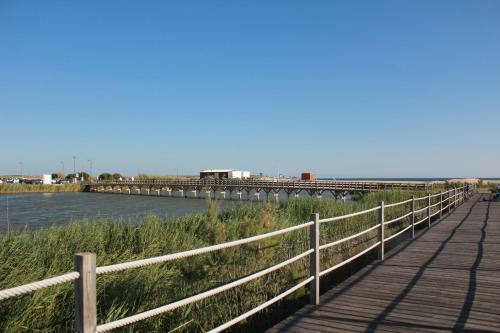 The A22 motorway is an 8-minute drive away and offers access to all Algarve..
Be Live Family Palmeiras Village Be Live Family Palmeiras Village is located in Porches, at just 300 metres from the beach. The Be Live Family Palmeiras features an on site buffet restaurant, where guests can enjoy typical Portuguese meals and international flavours. Parque De Campismo De Armação De Pêra price per day from € 23 Set in a 120 000 m² area of eucalyptus, almond trees and carob trees, Parque De Campismo De Armação De Pêra features an outdoor swimming pool. 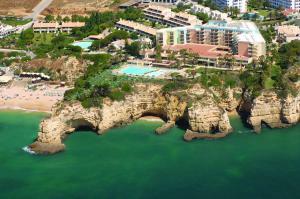 Parque De Campismo De Armação De Pêra provides currency exchange, ticked and laundry services..
Holiday Inn Algarve price per day from € 38 With sweeping views of the Atlantic, this Holiday Inn has an outdoor pool overlooking the sandy beaches of Armação de Pêra. Some have a furnished private balcony with a view of the oceanGuests of the Holiday Inn benefit from an on-site fitness centre, table tennis and a games room. Villa Oásis Villa Oásis is a villa located in Galé in the Galé district and featuring free WiFi and a terrace. Other facilities at Villa Oásis include an outdoor pool. 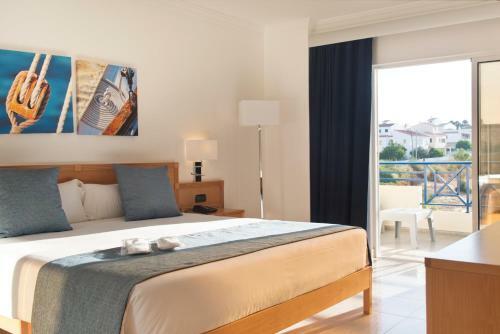 Lagos is 32 km from Villa Oásis, while Faro is 34 km away..
Pestana Viking Beach & SPA Resort price per day from € 27 Located in Porches, Algarve, this luxurious spa resort features panoramic Atlantic Ocean views and has direct beach access. 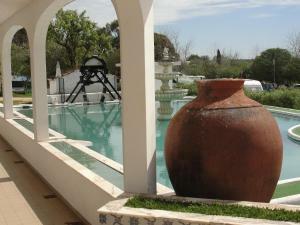 The hotel’s luxurious spa offers massage services, a Turkish hammam and a hot tub. 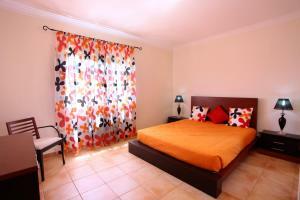 Some rooms offer garden views or uninterrupted views of the Atlantic Ocean.. Golf club Vale da Pinta, 11.2 km from the centre of town of Armaçao De Pera. Golf club Oceanico (Victoria), 18.9 km from the centre of town of Armaçao De Pera. Golf club Penina (Championship), 20.8 km from the centre of town of Armaçao De Pera. Golf club Oceanico (Old), 21.4 km from the centre of town of Armaçao De Pera. 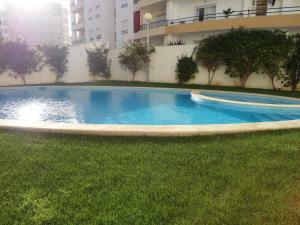 Golf club Vila Sol (Prime & Challenge), 23.4 km from the centre of town of Armaçao De Pera. Golf club Vale do Lobo (Royal), 26.5 km from the centre of town of Armaçao De Pera. Golf club Vale do Lobo (Ocean), 26.7 km from the centre of town of Armaçao De Pera.